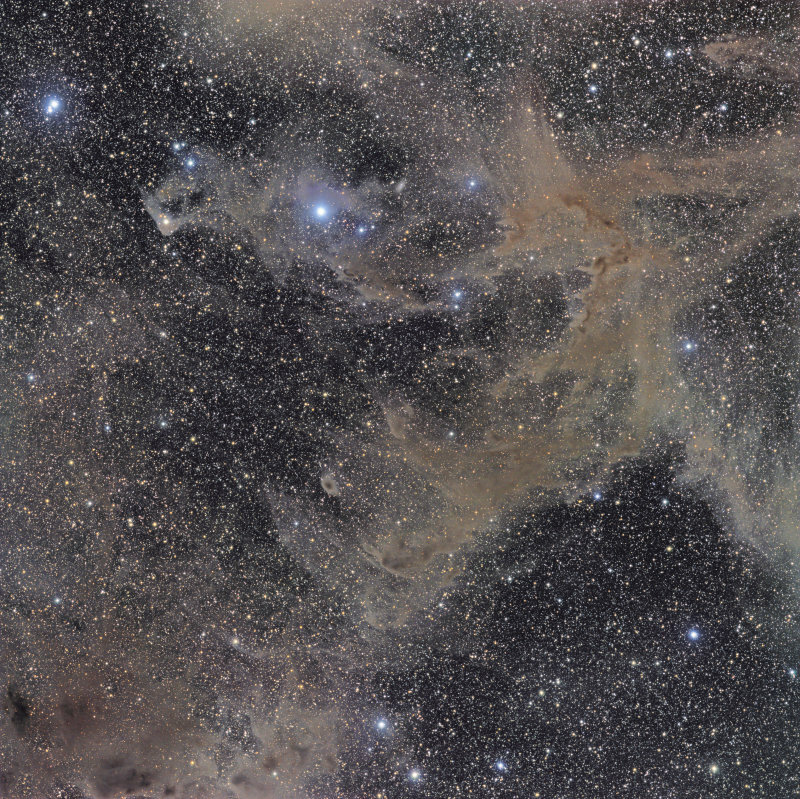 Molecular Cloud that fills the constellation of Chameleon and beyond, in the far southern sky. Nice! This encompasses the Chamaeleon II and Chamaeleon III complexes! The dwarf galaxy near the bright star is IC 3104. You should do the Chamaeleon I complex, which includes IC 2631 and others.